It doesn't take long looking at a garbage disposal before you discover that they are surprisingly complicated appliances. They have to be, after all, especially when you consider the task they have to accomplish. All of that power consolidated into one small tool. It's often a wonder that they don't break down more often, especially after all of the things people force down them. Unfortunately, when a breakdown occurs, it usually happens when you most need them. It doesn't matter whether you are in the middle of preparing for a special event or just dinner for the family. As they say, you know what happens. This is why it is so important to know a good garbage disposal technician when you need one. Just as is the case with so many tradesmen, there are many Garbage Disposal Replacement in Mesa, AZ technicians out there. Some are good, others are, well, you get the point. The trouble is how do you tell them apart? With our company you will know that whoever arrives at your door will be the very best at what they do. This includes a fair and honest evaluation of what service your garbage disposal needs, whether it be a repair or a replacement. You can be assured that when you need a repair to your garbage disposal we won't try to sell you a total replacement. 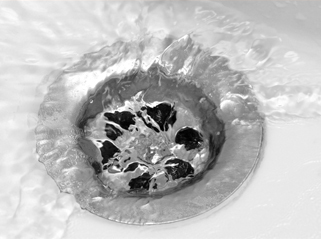 We will evaluate whether you have the correct type of garbage disposal for your needs. We know the importance you have placed on your Garbage Disposal Replacement in Mesa, AZ, in its use as well as the time you stand to lose as long as it is not in operation. Regardless of where the problem is with your garbage disposal, we will fix it and you can get back to everything you would much rather be doing than worrying about what to do with your trash.